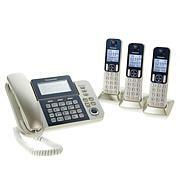 Here's a phone system worth coming home to. 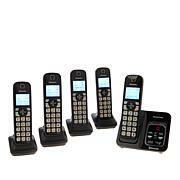 Link-to-Cell lets you place or answer cellular or landline calls from anywhere in your home, and four cordless handsets put you steps away from any call. 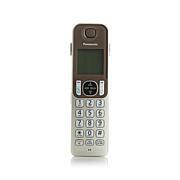 Plus, the handy call blocker lets you store the ID of any unwanted callers to eliminate future calls from them. Weight: Base - Approx. 5.92 oz. 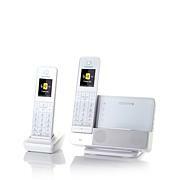 ; with handset approx. 10.4 oz. I was so excited when i receive my phones. They work so well no echo sounds. great price as well. It works great and i'am still using it after a year. I had my first phone about 5 years. I just got my second. All I do is block calls. It makes me feel powerful to have the ability to shield myself. I could go on and on about the scammers who call. 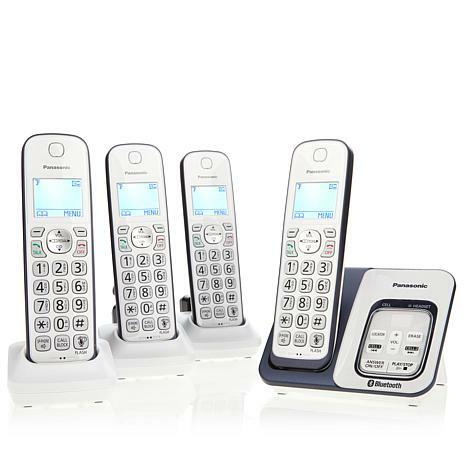 I have used Panasonic phones for the past 9 years and they are easy to set up and the call Blocker is great the audio quality is terrific.